Jill Orr grew up near the beach in Panama City, Florida. Some of her favorite activities growing up were boating, swimming with dolphins, riding speedy wave runners, and participating in church activities. After graduating from Oral Roberts University in Tulsa, Oklahoma, Jill got married and moved to Hampton, Georgia, just south of Atlanta. In Georgia, Jill enjoys a life filled with church activities. 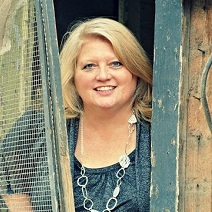 She teaches Middle school students, writes and produces church musicals for all age groups, and breeds and shows Quarter Horses. As intense as her love is for animals, she has an even greater passion for people. Jill inspires others to reach their greatest potential and achieve their personal goals. Connect with Jill Orr on Facebook! Check out Jill's novels for young readers! Buckle Up; Let's Take a Spin! Destiny works as a groom for Abigail, an ultra-wealthy high school girl who wants to earn the title of Youth Reining Champion with her amazing horse, Let's Take a Spin. Abigail is somewhat of a bully towards Destiny until her world comes crashing down. 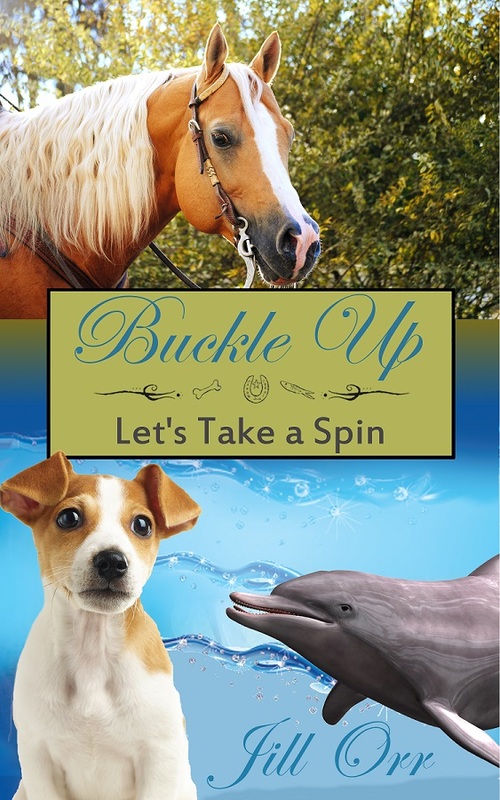 Her horse, Spin-sir, gets hurt, and her parents lose their immense fortune. Instead of euthanizing Spin-sir, Abigail's father agrees to transfer his ownership to Destiny, who has access to around-the-clock veterinary care. Meanwhile, Destiny and her father reunite with her maternal grandfather, Pops, who owns a rescue aquarium. Other animals help facilitate Spin-sir's rehabilitation, including Buckle and Zipper, two Jack Russell Terriers, and Echo, a dolphin Pops has trained in military maneuvers. Spin-sir's road to recovery becomes an avenue for all of his owners' shattered lives to be restored to health. They each draw strength from their families, friends, and communities to overcome life's challenges and seize their dreams. Buckle Up; Let's Take a Spin! is an action-packed, humorous novel. It contains themes of family, restoration, dealing with bullying, appreciation for Life Science, and the importance of valuing relationships above possessions. Draw IV and Curtis are two eighth-grade students who coincidentally meet at a prestigious historical speech competition. They soon discover that their backgrounds are amazingly similar, though the two boys have lived very different lives. Draw IV is a witty city slicker who is used to wearing designer clothes and having the best of everything. Curtis lives on a plantation in South Georgia, and he works hard alongside his father as his family struggles to survive. The two boys join forces to solve a mystery that has spanned five generations. 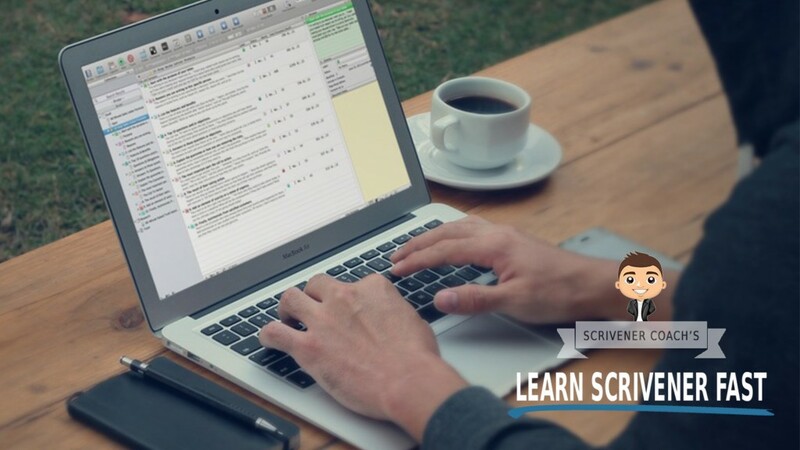 Along the way, they learn many valuable lessons. 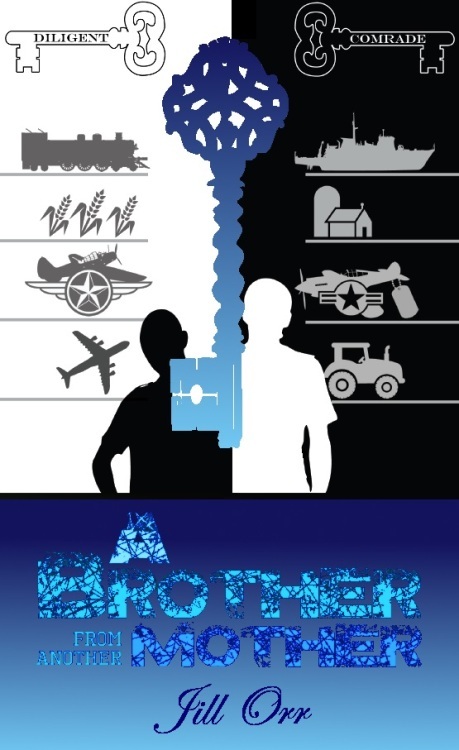 A Brother From Another Mother is a humorous historical fiction novel that embodies the themes of racial unity, family, camradery, diligence, and the wealth that comes from positive relationships. The history of the Wrigley and Williams families incorporate real-life historical figures, including George Washington Carver and Billy Graham, and events such as World War II, Bloody Tuesday, the sinking of the S.S. Republic, and much more. Monique is an 8-year old Jewish girl who lives with her father and three older siblings. One night, Monique had a dream that she would live in a magnificent castle, and that her brothers and sister would work for her. Monique was her father's favorite child, and he gave her a very valuable tiara which at one time belonged to an Italian princess. Because of their intense jealousy, Monique's siblings handed her over to Nazi soldiers. Monique narrowly escaped the horror of the Holocaust, and she joined the circus. Escaping the Pit in Pursuit of the Palace is a dramatic, funny, and courage-inspiring novel that weaves the lives of fictional characters with real historical events, people, and places. The story begins in the time period just prior to the Holocaust, and it includes Princess Mafalda of Savoy, Boris the III of Bulgaria, Rudolf Höss, Archduke Franz Ferdinand, Adolf Althoff, the Ringling Brothers, the Barnum & Bailey Circus, the movie The Greatest Show on Earth, The Jack Benny Show, and much more.